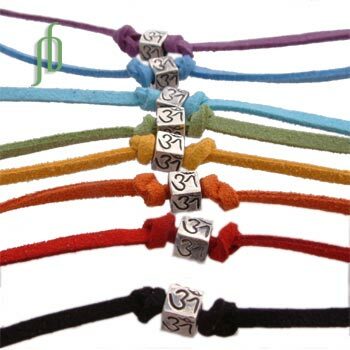 Set of 8 Sterling Silver 4-sided hand carved aum cube on a color faux suede cord that can be tied as an anklet or bracelet. Because you can tie it to size, it is ideal for men, women or children (not recommended for small children due to small parts). Set of 8 includes one of each of the following colors: red, orange, yellow, green, turquoise, blue, purple or black. Ultrasuede is Vegetarian! 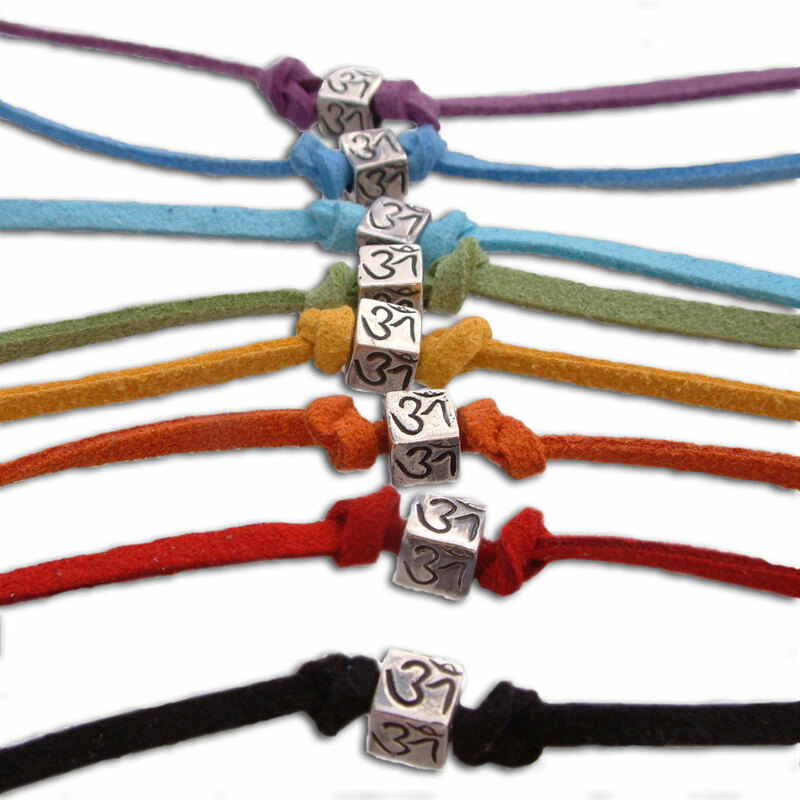 Tibetan Om anklet or Tibetan Om Bracelet on a color band of your choice. Tie-to-fit.